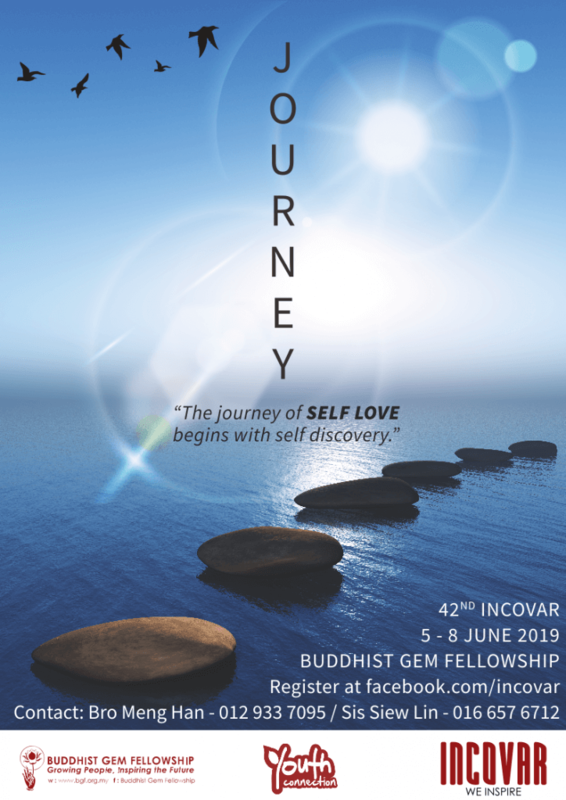 BGF celebrates its 30th Anniversary! 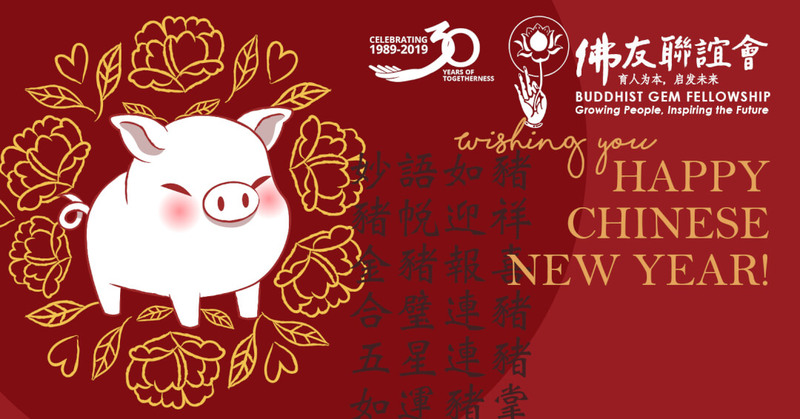 We invite you to welcome the Year of the Boar “Celebrating CNY with Appreciative Joy” on Sunday 17 Feb 2019, 9am-1pm. 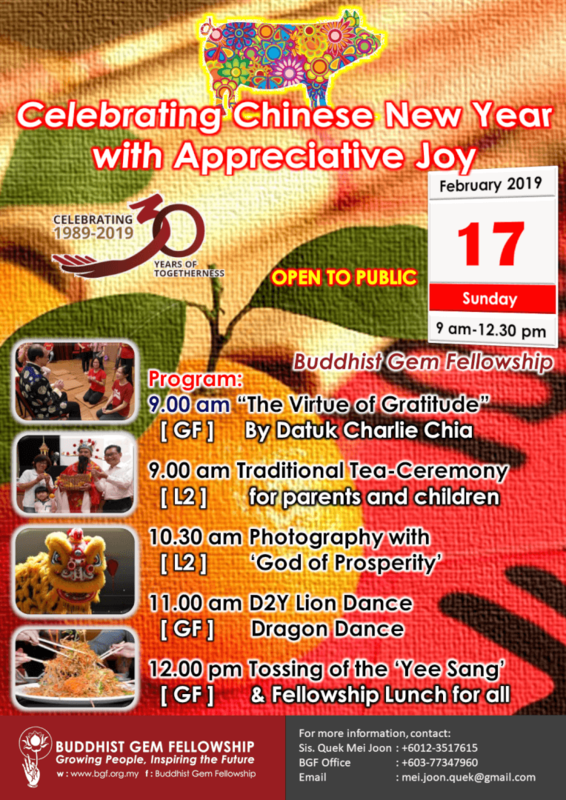 Datuk Charlie Chia speaks on “The Virtue of Gratitude – Kattannu”, Tea Ceremony for Parents & Children, God of Prosperity appearance, D2Y Lion Dance & Kids Dragon Dance… and tossing of homemade ‘Yee Sang’ followed by fellowship lunch. Bring your whole family along. All Are Welcome!